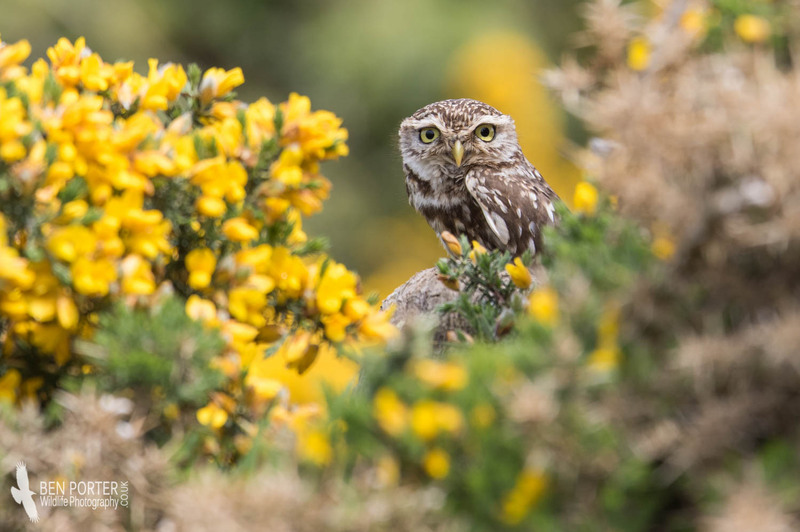 Little Owls are brilliant birds...but many people might not realise that they do not actually belong in the UK. That is to say that they are an introduced species, and not part of our native fauna, just the same as Rabbits, Ring-necked Parakeets and Ruddy Ducks. However, there is something about their appearance; their cryptic and secretive nature, brown and mottled plumage, that lends themselves perfectly to the British landscape: they look and seem entirely at home here! Interestingly enough, this diurnal owl species has also been introduced to New Zealand, but its natural range is incredibly extensive: the population (taking in 13 different subspecies) traverses the Northern Hemisphere in a broad belt from Western Europe through to East Asia, whilst its northern and southern limits take in Latvia, Mongolia and Northern Africa respectively. 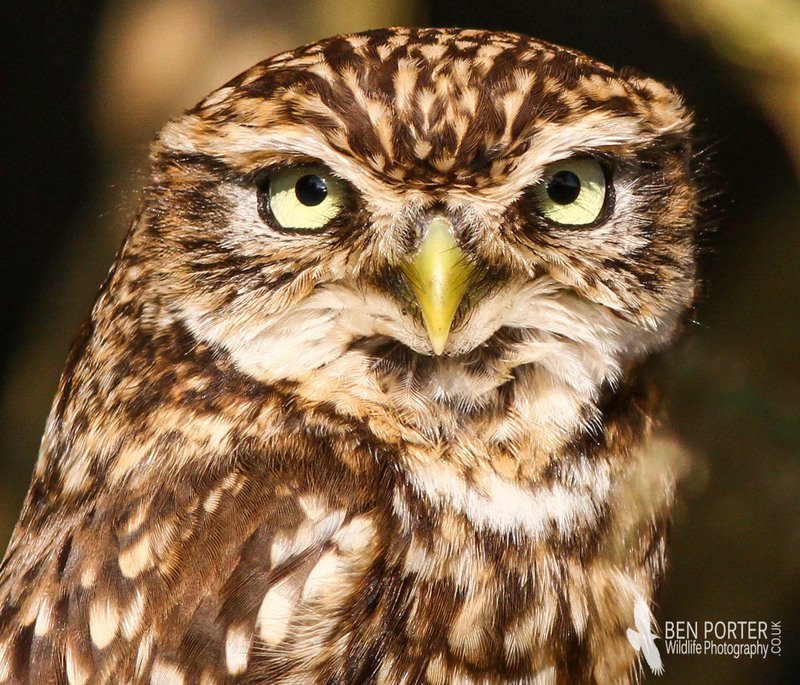 Anyway, onto the birds themselves...their Latin name (Athene noctua) is linked closely to greek legend: Pallas Athene was a greek goddess of wisdom and arts, and noctua was an owl sacred to the goddess Minerva. 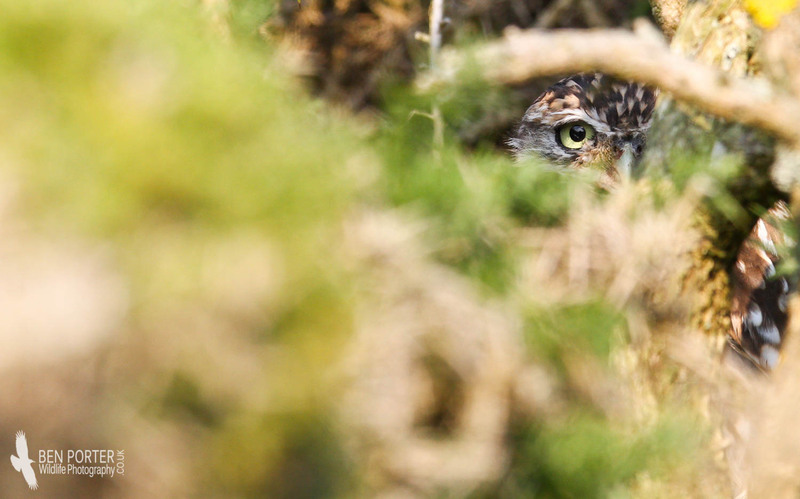 Perhaps these ancient links are where the phrase 'as wise as an owl' stems from? The diet of this diminutive species is pretty diverse: they will take anything from small birds and mammals, reptiles and amphibians, to a whole range of different invertebrate species. 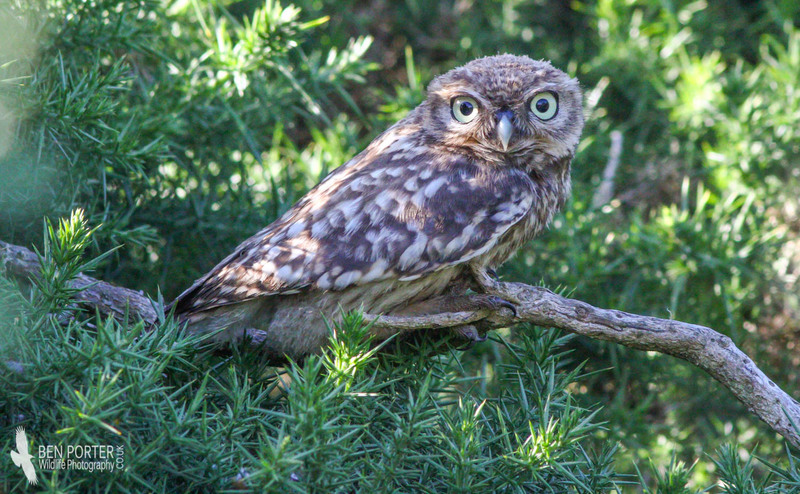 According to Avibase, up to 97% of Little Owl's diets in the Mediterranean is made up of invertebrates! There have been some amusing accounts of birds falling over backwards after an Earthworm snaps as it is being prized from ground! Some worries in recent years concerning this specie's diet is that they are actively hunting Storm Petrels at night on islands such as Skomer and Bardsey; what effect this is having in the petrel populations is yet to be revealed.